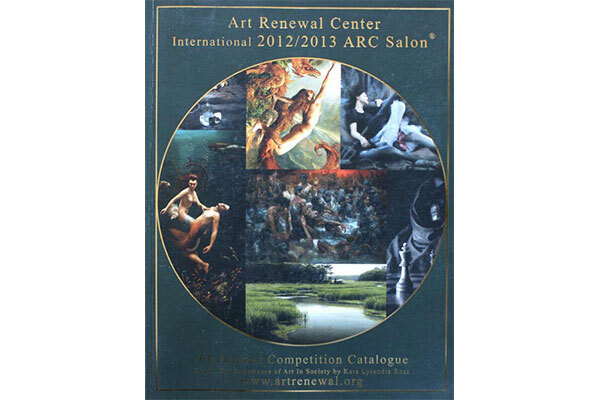 The Art Renewal Center® was founded in 1999 for the advancement of traditional and contemporary representational art. As a registered 501(c) 3 non-profit educational foundation and one of the internet’s leading art resources, the ARC has become a central hub for the promotion of Contemporary Realism (Post-Contemporary Art) and the resurgence of skill-based training in the visual arts. ARC Approved™ atelier schools and workshops are amongst the most popular parts of the ARC website, having expanded exponentially since our first listing in 2002. Applications are reviewed year round. In addition to our daily blogs and weekly newsletter, the International ARC Salon Competition, dedicated to realist artists, is the largest and most prestigious in the USA and perhaps the world. Other features include the ARC’s annual scholarship competition, which distributes$30,000 each year to students who attend ARC Approved™ schools, dozens of articles, essays and entire books that be read online, both historical and contemporary, the most popular of which is the ARC Philosophy of Fine Art and Aesthetics. The ARC museum contains images by over 7,000 artists with over 80,000 images, many at high-resolution of the greatest artists in history, including a growing number of 21st century artists in our Living Master and Artist’s Gallery.